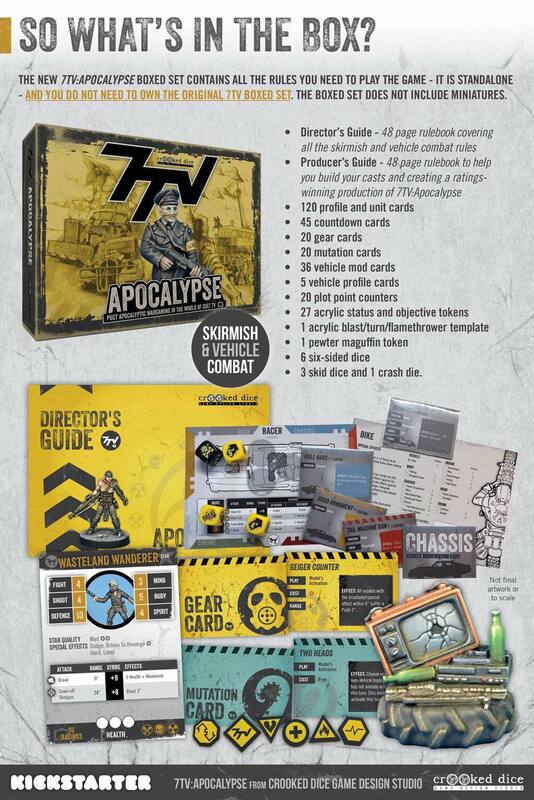 7TV Apocalypse on Kickstarter NOW! British television is sometimes the envy of the rest of the world. After all the whole thing was invented, nurtured and spawned here, and the BBC is one of the worlds most watched television channels. It can be fun and jolly and entertaining, but sometimes can have darker and more sinister programming that some countries would not dare attempt. Programmes such as Terry Nations Survivors and the docudrama Threads stand out in mind as a bleak and often horrific look at the darker side of humanity and naturally make gripping television. 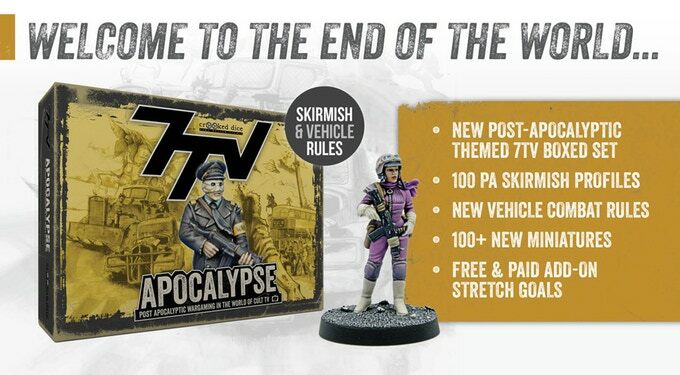 Now Crooked Dice, the creators of the amazing television based miniatures game 7TV have just launched their new kickstarter campaign 7TV Apocalypse and it looks all set to be a fantastic journey into the dark side of the game! 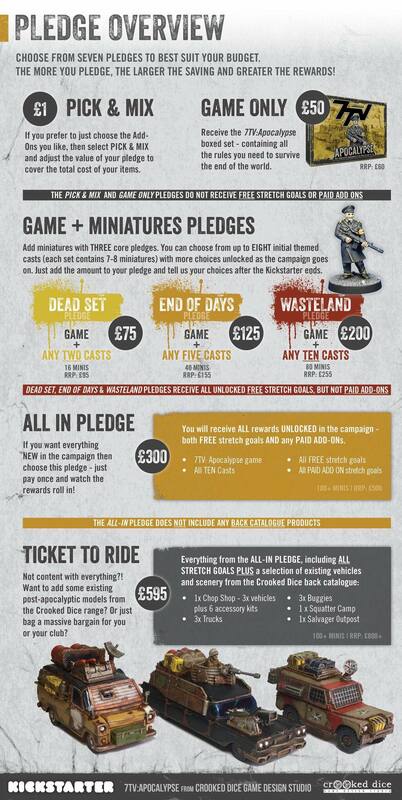 Please click on the image below to visit the kicstarter page and pledge NOW! 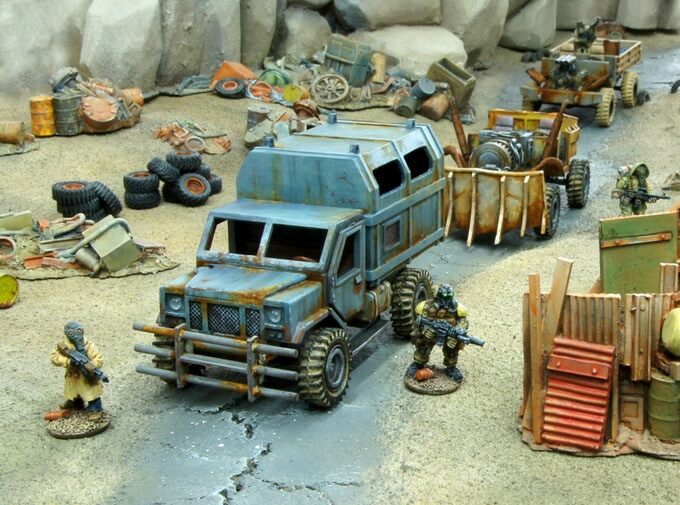 The goal of the kickstarter is to provide a new boxed game set that will feature brand new rules for playing games in post apocalypic settings, vehicle rules and much more. 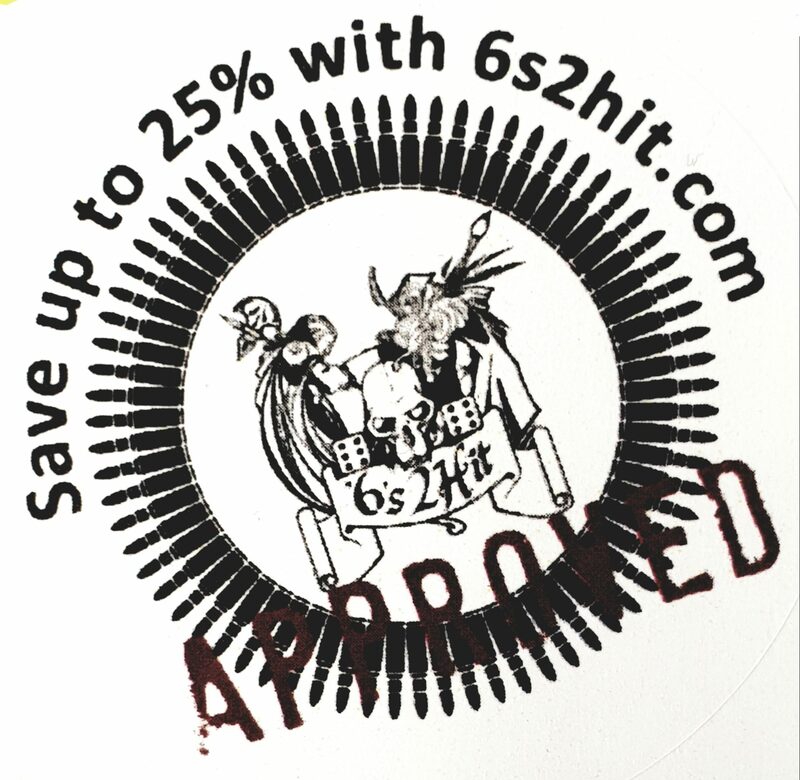 Perhaps most ambitiously over 100 new miniatures designed and ready to support the already very impressive cast ranges from Crooked Dice. 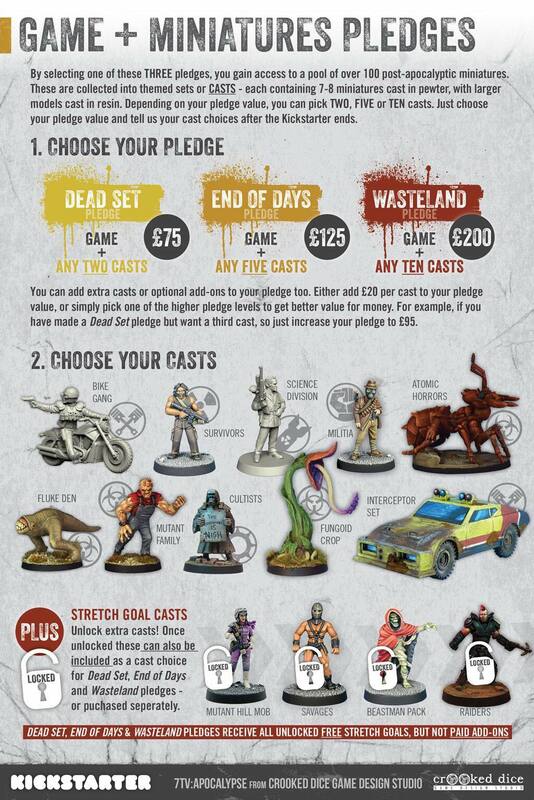 As of typing this the kickstarter has been running just over an hour and is now funded. 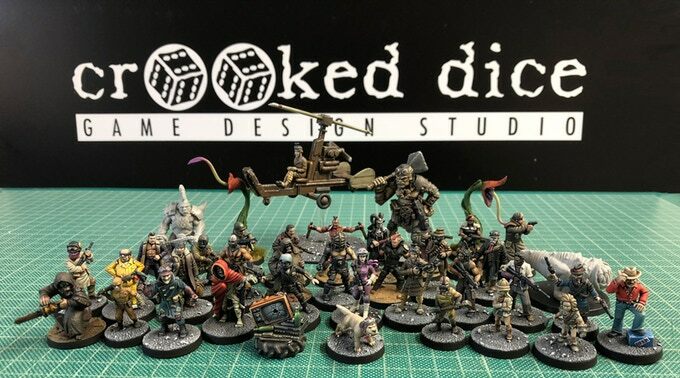 Expect full coverage on this exciting project and good luck to all the amazing folks at Crooked Dice from all here at Gamers Web!